Nothing ruins a party like a trip to the emergency room, but taking precautions can greatly reduce the likelihood of that happening! Here are some Safety Tips to get you started! When entertaining, a good host / hostess is concerned with whether the guests are having a good time. To ensure that happens, the safety of the guests needs to be taken into consideration. There's nothing like a trip to the emergency room to quickly kill the mood of a great party! We have compiled some safety tips to follow as you prepare to entertain, but use good sense as this is by no means an all-inclusive list. 1) Make sure walkways and stairs are well lit. Outdoor walkways and patios can be dangerous because they are often an uneven surface. There are inexpensive solar lights that can be purchased to line walkways and edges of patios so there are no injuries or twisted ankles. Also, think of lining your deck with a string of white lights to illuminate stairs while bringing a festive mood to the party. 3)	Don't overload electrical outlets. When we entertain, we are using extra electricity. We have additional appliances plugged in such as blenders, mixers, and hot plates, not to mention additional lighting and music. Make sure you are not overloading the outlets which may cause a breaker to be tripped or even a fire. Unplug things when not in use and look for things that may be able to be unplugged during the party like the TV if no one will be watching it. Be careful of extension cords causing a tripping hazard. 4)	Pay close attention to potential trip hazards. Extension cords are common trip hazards that can easily be avoided by laying them so that they follow walls, rather than cross traffic areas. Look for other potential trip hazards, such as content items that may impede on traffic areas, and move these into rooms not used by the party. 7)	Be aware of safety issues around a fire pit. Just like the grill, make sure you have a fire extinguisher or water nearby for emergencies. Before it gets dark out, check for any trip hazards such as sticks or roots sticking up and eliminate the hazard. Once the fire is started, stop any running or careless behavior around the pit and keep children away from the open flames. 8)	Any loose rugs, indoor or outdoor, should be taped or tacked down on all sides. Loose or slippery rugs can be dangerous, especially for elderly partygoers. Don't just tack down corners, that could cause a trip hazard, all sides need to be secured. 9)	Consider hiring a babysitter and if you have a pool, a lifeguard. This enables the parents to have a good time with other adults but, having a babysitter there can give you peace of mind that there are additional eyes on the children. However, the parents should be aware that they need to still watch their children and it does not remove their responsibility. 10) Take steps to ensure that choking hazards are kept far away from children. Things like latex balloons and decorations can be tempting for little ones to put in their mouths. 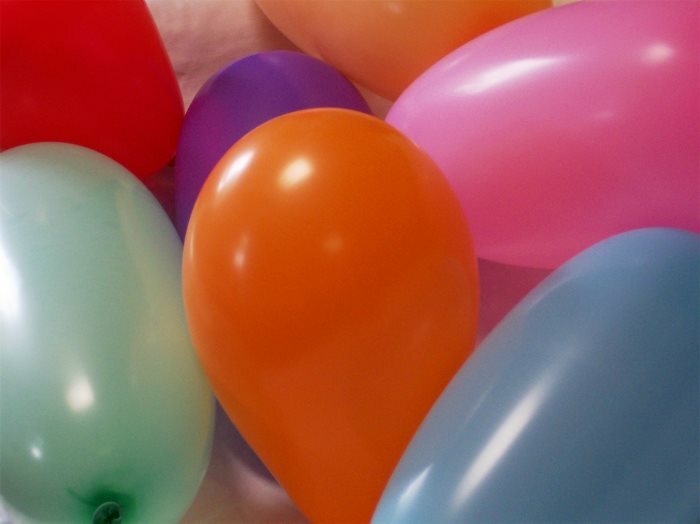 Balloon pieces in particular can be a very dangerous choking hazard when popped. Kids have a way of getting into things the minute you turn your back, so always monitor children and never leave them unattended. Keep all emergency numbers nearby in case you need them but, hopefully these tips will help keep you and your guests safe. With some thought to safety, you can enjoy the party and only worry about who's glass is empty. *This story originally appeared in the September 2016 issue of Connections Magazine, as part of a monthly contribution made by Disaster Blaster, Inc. Please check out the current issue of Connections Magazine for this month's story!